Pictured, Thurmont, Maryland teen and Catoctin High School student, Nicole Cevario. Nicole Cevario sentenced: A former Thurmont, Maryland teen is sentenced to 20 years jail after pleading guilty to plotting an attack on her high school. 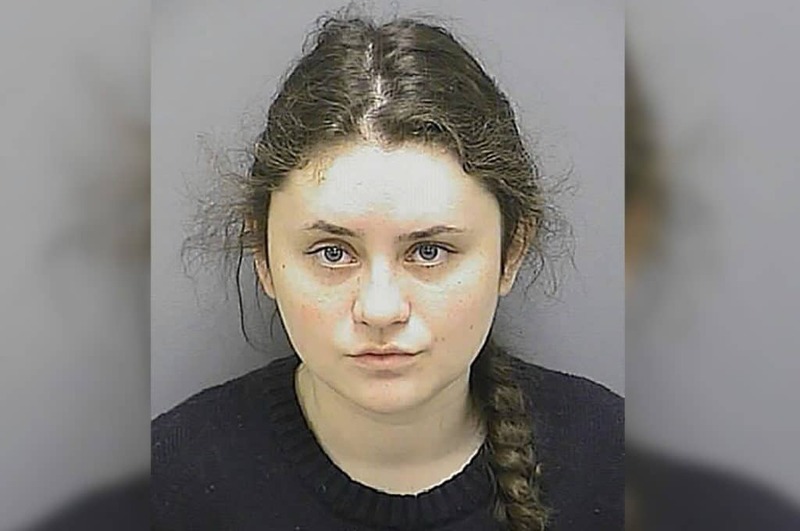 Nicole Cevario a 20 year old Thurmont, Maryland teen has been sentenced to twenty years jail after pleading guilty to ‘meticulously’ plotting an attack on her former high school. The Frederick News Post reported Cevario being sentenced to twenty five years, with five years suspended, Tuesday morning following the ‘honors roll student’ confessing to possessing explosive material with the intent to create a destructive device. Offered Frederick County State’s Attorney Charlie Smith following the former student’s sentencing, ‘We were very happy it was such a substantial amount of years’. 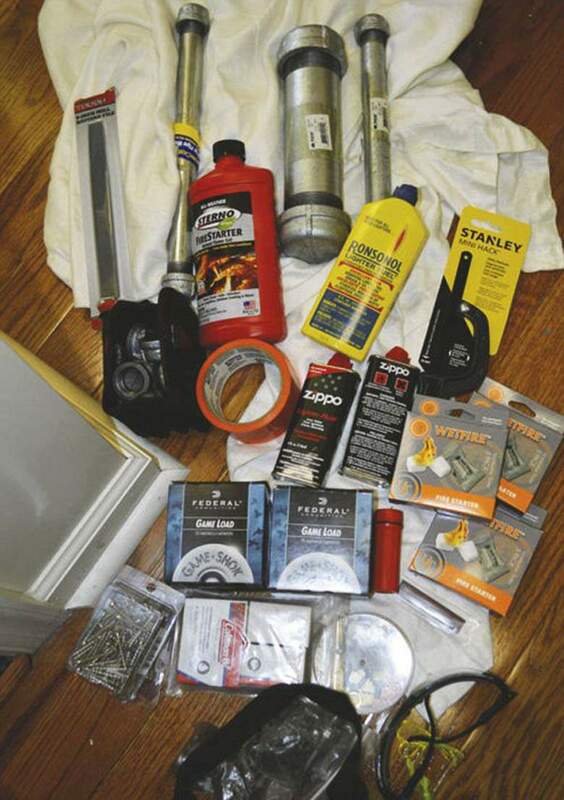 Nicole Cevario Maryland teen school plot: ‘all explosive material and weapons legally acquired’. Cevario was arrested in March after authorities were alerted by officials at Catoctin High School of a journal that contained entries describing a plan to commit a ‘Columbine style’ act of violence. The journal was discovered by Cevario’s parents at their home. Diary entries included the then student meticulously outlining the school’s emergency procedures, the movements of the police officer at her school synchronized, including Cevario writing she hoped to be ‘the first real female school shooter’. Recovered explosive material included pipes with attached end caps, nails, nuts and bolts, matches, fireworks and fuses. Purchases which were all legal. The journal also contained a receipt for a Remington 870 shotgun, later found hidden in her bedroom closet with two boxes of ammunition, which were also legally purchased. 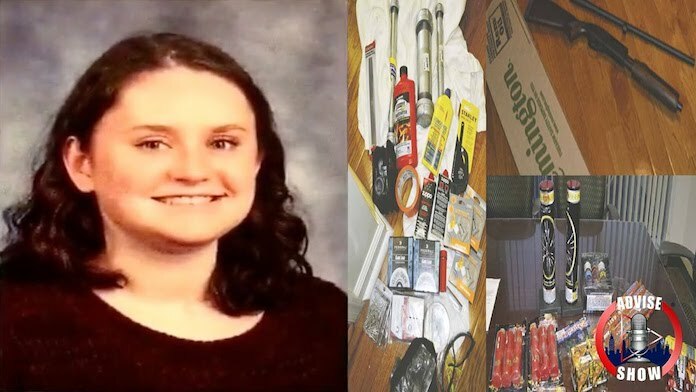 Investigators say Cevario admitted buying several items to assemble pipe bombs and planned to detonate them at the school, April 5th and that she also planned to commit suicide with a shotgun during the attack. Pictured, Thurmont, Maryland teen, Nicole Cevario. Police bookings. Nicole Cevario honors role student somewhere gone wrong…. Until her arrest in March, the honors roll student had never had any incidence of misconduct or arrests. Yet to be necessarily understood is what precipitated the schoolgirl’s desire to inflict grave carnal damage and what psychological counseling, if any, the teen had been offered whether by her family, or her school in what could have been a bombastic course of events…. 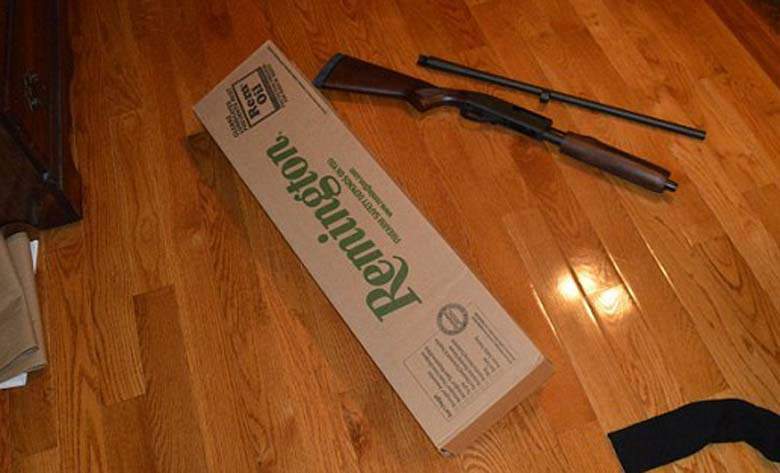 Pictured, Nicole Cevario Remington rifle she planned to use in the high school attack. Nicole Cevario explosive material cache.